My first package arrived today from Mumzworld, very exciting stuff because it means Christmas is coming *runs round screaming*. Having children really makes it so much more exciting. Nothing major, just an Gruffalo’s Child advent calendar for Miss C (she really doesn’t need it but who cares) and a few stocking fillers. LPV is getting a Stars wars lego advent calendar. To be honest I should probably re-phrase that, LPV is getting a Stars Wars calendar for Daddy to open, I’m not sure who gets more excited. Hopefully we will be in our villa and settled completely before Christmas, with a real tree that the air conditioning can destroy in a matter of days. LPV is at an age now where he’s fully aware of who Santa is and he so believes that the elves are watching him from the Atlantis hotel at the moment best not too ask. That is until our Elf on the shelf book arrives, Can not wait to read it too him, leave out goodies for Santa. Santa will be having red wine this year as he is not..erm..pregnant. It’s a little bitter sweat as its our first Christmas with out any family members around us, just the four of us this year. I really could face anymore traveling. However it is Miss C’s first Christmas outside of the womb so it will be uber special regardless. We may even go to Ski Dubai snow park on Christmas eve for a bit of sub zero temperatures, hot choccie and snow. 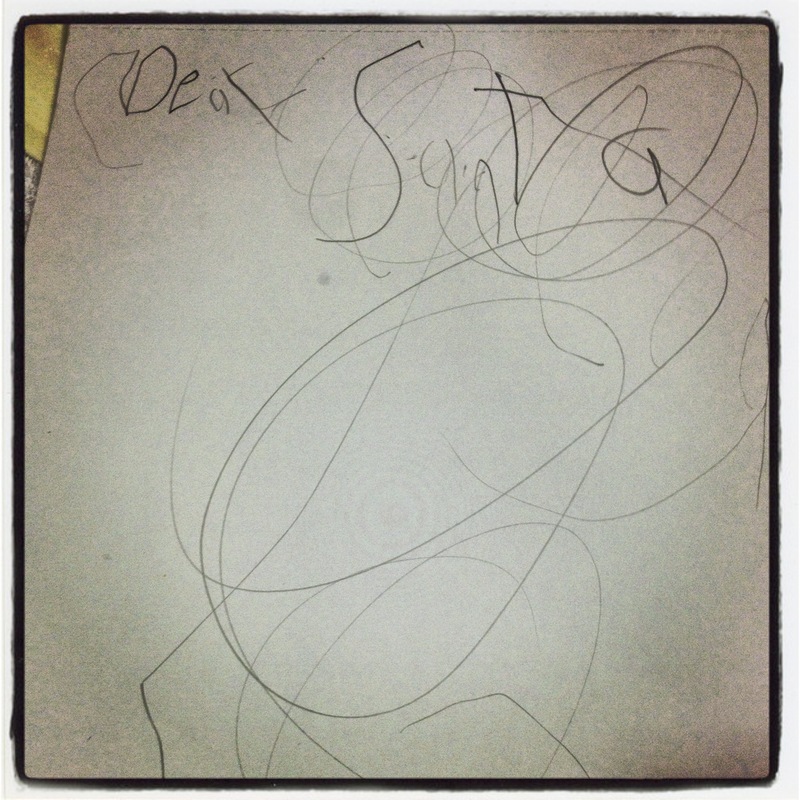 Tonight LPV sat down wrote his list to Santa…This loosely translates too a Nemo (real one) a rocket, a special plane and chocolate buttons. There you go, easily pleased, I’m really not sure how I feel about a fish as I know I will be the one elbow deep in fish poop filled water.